Donated property appraisals are a must on various forms of donated commercial property. 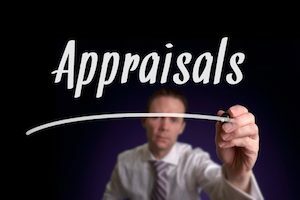 These appraisals are an important way to gauge the value of that item. They are also crucial for tax purposes, as the value of a donated property may be tax-deductible for the person who made the donation. Anyone thinking about donating property or getting a property appraisal needs to understand this process and how it differs from that of a typical commercial property assessment. The following information should serve as a good example of what to expect from the process and which properties need to follow it. Each of these different types of property undergo appraisal in a variety of ways. For example, real property requires a complete description of the property including the address, a description of physical features, zoning properties and more. Appraisers will look at this information to find a fair market value of the donated property. Tangible personal property evaluation depends on its fair market value, including the type of property it represents. For example, various industrial machines undergo a different examination and valuation process than electronic items, such as projector systems. Other information, like the age of the item and its condition, are also up for evaluation. Intangible personal properties, like stocks and bonds and even businesses, affect valuation in slightly different ways. Typically, the assessment is according to their purchase price, their value at the time of the appraisal, and the future potential of the property. Other types of items, like art, can also face the same process of appraisal. One of the big differences between standard commercial and donated property appraisals is the limit placed on donated property. For example, a person claiming a charitable deduction of at least $5,000 has to get an assessment of that property to ensure it is worth that value. That limit does not necessarily apply to most commercial property, though this can vary depending on the state. All appraisals on these forms of donated assets must be complete no earlier than 60 days before the donation of the property. The value of the asset should not include the cost of the appraisal, and only an IRS-approved qualifier can handle the appraisal. An appraiser prepares a commercial appraisal and assessment report. This report takes a look at the value of a piece of commercial property and estimates the worth. As with donated property, there are several different types of items subject to appraisal, including single-family homes, apartment buildings, shopping centers and even large tracts of land. However, the value assessment will differ in subtle ways when compared to donated property appraisals. The cost of the building will include the purchasing price of the property, as well as the current market value. Donated property often doesn’t take into account the purchase value, particularly for those who received the donated items. This distinction is an important consideration, as given property may receive slightly lower property appraisals. These subtle differences make it important to know when to consider a donated property appraisal and when a commercial assessment is appropriate. Are you struggling to value your donated property or do you have more questions about valuing donated property? No matter what your situation is, it is to your advantage to get some expert advice before your move forward in the process. Having the right information in place will help you to make an informed decision that is right for your unique situation. The good news is expert information is just a phone call away. Our team is standing by ready to help. Contact the experts at Global Valuation today at (772) 215-5738. We can help with your donated property appraisals and make it easier for you to understand what you are getting or giving away.